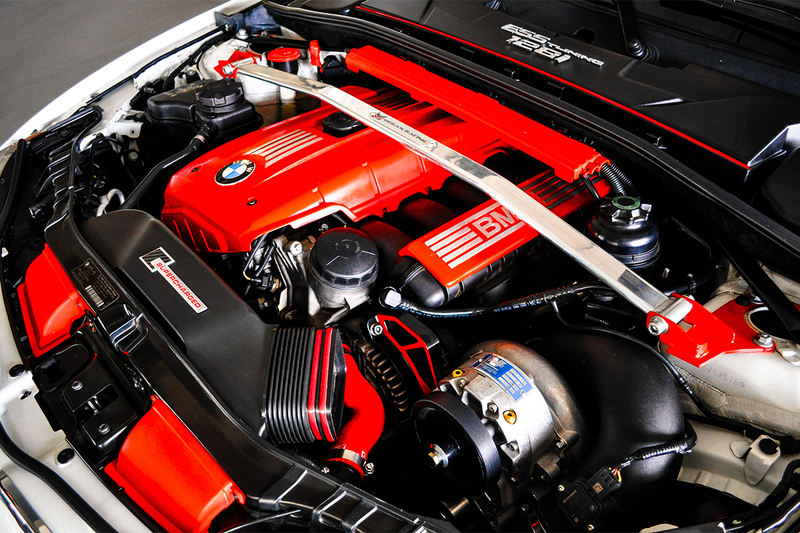 Stay ahead of the competition by increasing the power output of your BMW with a VT1 Supercharger System. ESS Superchargers are extensively tested on and off the track to ensure you with maximum performance and reliability. 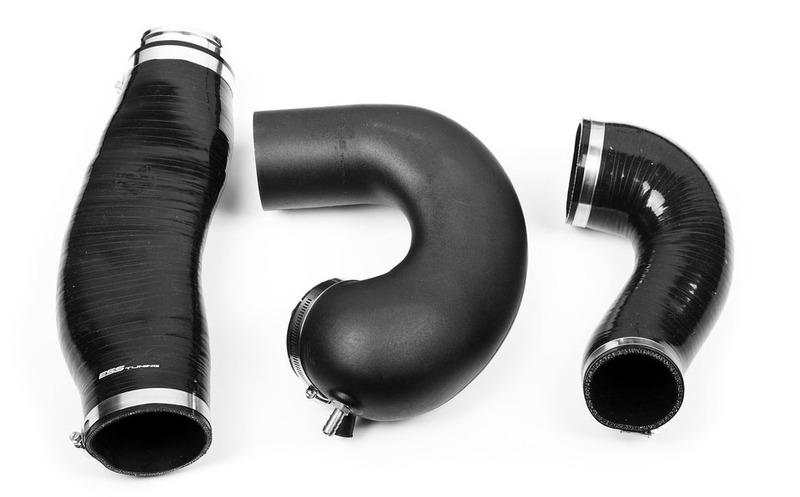 This newly developed Gen.2 Vortech V3Si based VT1 supercharger system for the BMW N52 engine family is designed to offer the customer a very quick and easy, 100% bolt-on installation. With this supercharger system we bump the power output by 80-100 horsepower! Vortech V3 Supercharger: This supercharger system incorporates the Vortech V3 self-lubricating supercharger unit running 6-6.5PSI boost. With a completely sealed supercharger system there is no concern of having to run additional oil lines to and from the engine. Also, the V3 supercharger is a much quieter unit than previous models. Larger Bosch fuel injectors w/ identical spray pattern & angle as OEM to ensure 100% perfect driveability w/ valvetronic reduced valve lift. Custom molded silicone discharge system. Custom molded plastic intake assembly w/ direct connection for PCV, ICV and MAF sensor. Billet CNC main SC bracket made from high grade aluminum & anodized to a perfect black finish. CNC precision pulleys and beltdrive system. Power development is 100% smooth and the car behaves just like stock until you demand power, then the car completely transform providing phenomenal acceleration. The system maintains all OBD-II functions and it is backed by a comprehensive 2 year, unlimited mileage warranty program. The system installs in 4-6 hours using normal hand tools and no irreversible modifications to the car is necessary. 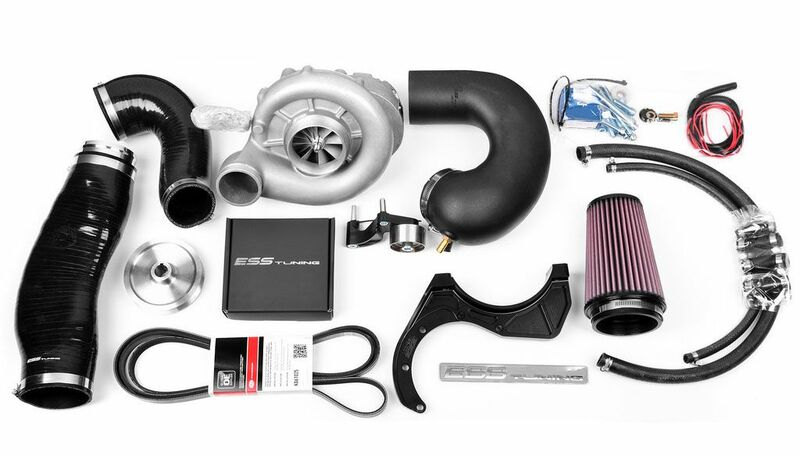 Please Note: ESS requires ALL cars to be stock prior to installing the ESS N52 Supercharger System. If you have any modifications done to the car, hardware or software, and are still interested, you must contact ESS Tuning for written consent and manual order processing prior to placing the order. I own a 2011 BMW 128i convertible. I have spent the last 3 years building out my car as a daily driver show car. I have upgraded not just cosmetics but also performance gear to push the N52 engine as far as I can, without damaging it. This means not just adding performance gear, but quality tested gear I can trust. ESS SuperCharger, BMW Performance Short shifter and MagnaFlow Cat Back Exhaust as a few items I've added. I had a cold air in-take installed 2 years ago and while it added power and torque it just wasn’t enough “pull” to meet my needs. I wanted more. 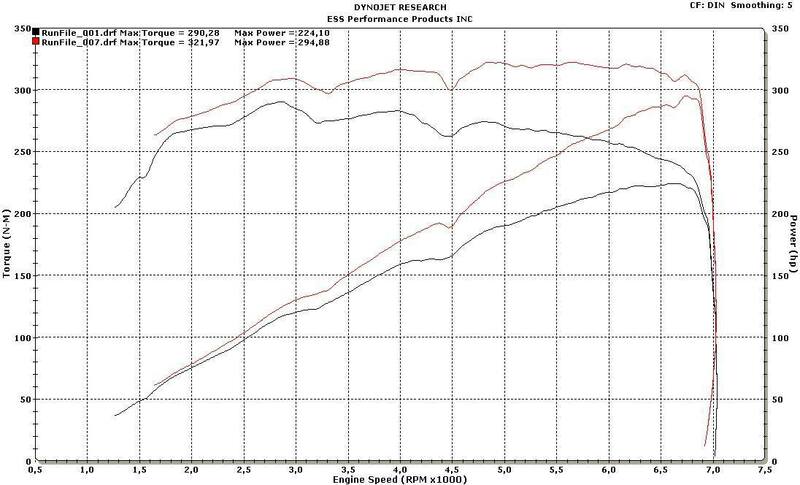 So I turned to the experts at Modbargains and ESS Tuning to gain the power I needed for my N52 engine. 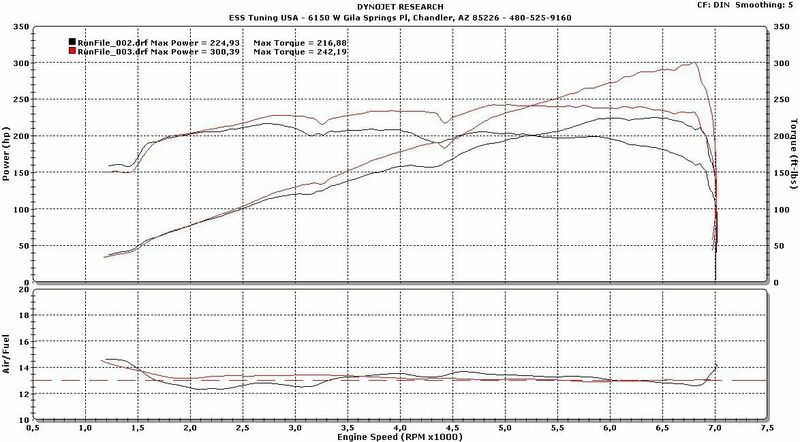 They recommended the ESS VT1 Supercharger system (Gen 2) kit which adds about 80-100 whp and 45-90 Torque. Of course, I was apprehensive because this is a huge modification to my car and I loved the way it was running, I just wanted more power and torque. I didn’t want to lose the smooth ease of driving my car daily to gain more power, I wanted my cake and to eat it too! I wanted it to behave well in regular driving but be a beast when I pushed it. This kit delivers EXACTLY that! I am more than impressed. The kit arrived and was well packed, not an issue with anything in the kit, it was all there, larger injectors, brackets, pulleys, new belt, etc…. all high quality as promised. I gave the kit to my installer. He installed the supercharger kit in one day and calibrated it using the custom cable and app. When I took my car out for its initial test drive I was blown away with how it behaved. When just driving around it behaved identically to prior to having the SuperCharger installed. It idled correctly, came off the line nice and smooth, just like previously and was / is a joy to drive. THEN, I pushed it…. And wholly cow, it’s a BEAST! The torque curve and thus the shift point is much higher than it was previously, but only when I’m pushing it… It now wants to live in the 4000-6500 RPM range and is very happy there! When I come out of a corner and accelerate, the SuperCharger kicks in and the back end digs down and just pushes you in seconds from gear to gear. I just simply love how it behaves! Extreme predictable power. I have now been running my 128i for 4 months with this SuperCharger and the more I drive it, the more I love it. Boy does it get a LOT of attention at car shows as it’s rare to see a N52 SuperCharged and pushed to its limits like this. I had to bring it to BMW dealership for a recall (air bag) and when I popped the hood I had 6 Technicians gawking and taking photos and the service manager offered to buy it on the spot. I can’t say enough good stuff about the kit, the supercharger, the tune, and of course the people at ESS and ModBargains too! I now drive my dream car that pushes the limits because of these guys! Thanks!